The red-letter day has come! We've been teasing, telling you to get excited, telling you not to get excited, not commenting on several topics because of <CONFIDENTIAL> and now it's time to reveal the secret. Let's travel back in time. I was in Korea, in Neowiz Able Studios a couple weeks ago. Last few months, we didn't have any patches. The last few months and before, all the versions S4 League had shut down. Over the years, we've had some changes in the game, but they weren't always interesting to you (except railgun, you guys have talked about that a lot!). We've provided feedback to developers, but in the end they were developing their own version and providing us a sort of "variation." Because we, Aeria/Gamigo, are taking over the development of S4 League! Since around the end of last year, we've been talking with our developers, Neowiz Able Studios, and we came to an agreement around the start of the year... Legal stuff, contractual stuff, other stuff, etc Finally, we are here! This is why we had Heartbreaker: I wanted to work on a quick project to see how it works with items. This is why we've kept it a secret: Either we were legally forced to, or waiting to see there are no last moment changes. 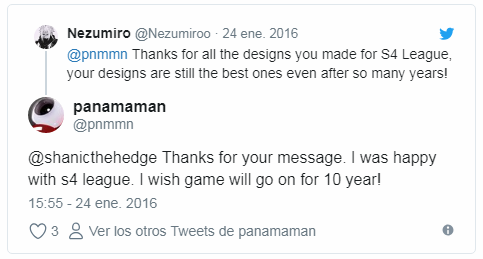 This is why there were no patches: NA was letting go of development. This is why I was in Korea: We went there with one of our developers to receive training and physically receive the code. This is why you should GET EXCITED: There is so much we can do! This is why you should NOT get excited that much: Rome wasn't built in a day and nor will S4 League's future. BUZZKILL DISCLAIMER - I want to be clear about expectations: We need some patience. Taking over a game development is a huge undertaking and we need to get settled before we do things. SLIGHTLY LESS BUZZKILL DISCLAIMER - We haven't actually developed anything YET. I'm sure we'll have unforeseen issues that might slow us down. What I'll speak of below is considering things go more or less okay. Expect more in-game events: I'm talking both "token" events and also stuff like the bomber event. Please let me know how you feel about those! Expect balance patches due to YOUR feedback: Not too often, but more often than what we had in the last years. Expect new characters and story: Seasons have ended, but there will be a new episode with new characters and more surprises. Expect to affect the game MUCH more: Think Character Creation Contests, think Loading Screen Contests, think Balance Feedback and more! Now think them happening more than once a year. There we go! So, we are literally just starting. We are still forming the team, we are getting settled with the code and the way we work. It will take a bit of time, but the more we settle, the more we'll be able to do. Ladies and gentlemen, I'm very excited about this. I'm excited professionally to work on a development project, I'm excited as an ex-CM to be able to give the EU community what they want and I'm excited as PM because of the near-endless opportunities. I know we've had a lot of rough spots in the past, I'm sure we'll have problems again, it's going to be a challenge for us, but a very welcome one. I hope you, the community, will stand with us and provide us the feedback that we need to improve the game. You must have many questions so I have a form for you to gather questions and we'll try to answer as many as we can, especially the common ones. Please ask 1 question per form, you can send multiple. Also, here is a feedback form to get a quick feel of your thoughts. We will soon have another form to provide us some balance feedback. I welcome you all to S4 League's future. This is just amazingly awesome congrats ! Old nostalgic token events? I'm in! The possibility to have more frequent/new events? I'm also in, that's great! this is a dream come true ;-; S4 LIVES! I don't know why, but I expected it. Never understimate a women intuition. I'm not disappointed. It is still just a beginning but I believe you that you can provide us better game in the future than it is right now. Either way, it's some actual great news if you can understand what all this means for the future. well, congratulations, i am expecting a good development of the game. If your developing is going to be as good as the GUI design which was made by your amazing "graphics designers" using Paint, then I give up on this thing right now. The gui was the same in the Korean version, so dont blame Kara, but anyway you are right, CHANGE THE ORANGE. Does that mean you can repair the clan system now? Or is it completely broken? I kind of guessed that it would happen. Though I was hoping you would wait until you had a first balance patch ready to make that announcement. Just in case some of the old players would return after hearing the news, so that they wouldn't have to witness the current meta. In any case, I'm looking forward to balance patches happening eventually. I might try to make some suggestions, now that I know that our input matters. Soon the new sets in the market, thank to the amazing s4 devs! So aeria now is tanking the developement and have full control over the game? So what happened with Game on? Did it disbanded? I am very curious what kind of content we will be getting from now on. The things kinda stopped the last few years. I really hope we can get everything running forward again. I felt this coming since long. It's a good news, really. Finally I can admit it: People now can say "Aeria fix s4 please" and no one will shut them down because 'Aeria isnt the dev'. It happened, they did it for us. Nerf the railgun! But seriously, at leats we can now have the things moving faster if we can talk directly to the devs. except railgun, you guys have talked about that a lot! EVERYTHING in this Letter are very very good neeeeeeeeeeews ! OMFG i knew it, i talked few weeks about this and i was okay. Finally. Congrats for your hard work with this. good to know that finally something is happening to the game that i was playing since beta, good luck to the staff and congratulations! This is actually such good and cool news. I hope with this us as a community will improve the game and now it seems OUR FEEDBACK WILL ACTUALLY BE HEARD. I sound like Julie Andrews in my head BUT I'M JUST HAPPY OK, its not just a spoonfull of sugar, it's a spoon full of trytophan. My guess if confidential ties with the future of S4 is right. Congrats on taking over the development. Make sure you guy always make a backup guy in case whoever leave near future. Now it safe to say you can do whatever you want. Time to make S4 right again. I was so happy to see that you were taking over S4 Development, thank you for doing so. The post was edited 1 time, last by Avraam ( Jul 24th 2018 ). This is bliss, i actually wanted this to happen. The post was edited 1 time, last by .Holy.Claymore ( May 15th 2018 ). Is this a meme or what? hmm interesting i do wonder if that will be worth for Aeria games to invest in game thats already dead out thanks to its community..
the moment you nerf all ranged weapons and make counter sword all GA- OP countering everything again il quit. When you refer to us, you mean the kind of people like you? The game isn't dead. I mean the kr version surely was but the devs didn't want to listen to our community anyway. Btw there are already capsules that cost 3 and more times. Either way, there are web shop promotions all the time anyway. I am actually hoping the biggest issues with the game to finally get adressed like the lack of unlimited rooms and other maps modes. compared to its past its dead..this is all nice but i have bad feeling this will generate more hate towards Aeria. lack of unlimited rooms cant be fixed unless community changes so good luck with that..